If items are back-ordered, tell your customers when to expect them. Why is this so important? So your customers can determine whether or not they really want to place an order even if they know it will be delayed. If you think this sounds a little counter-productive, continue reading. Consider this: A shopper places an order in early December for a Christmas gift. When the order is delivered; however, one item is not included. The item may have been back-ordered or substituted. What do you think the customer will do? Return the order and keep shopping? If the missing item was substituted, will the customer give the substituted item as the (possibly unwanted) gift? Will the customer continue shopping (elsewhere) for the rest of the gift? How do you think that customer will feel about that type of treatment? Will that customer be able to trust that merchant for an important order again? Under those circumstances, I know what I would do because a similar situation happened to me. I would have preferred to not place the order at all because I still had to shop for what I already ordered (and was led to believe I would receive), with precious time lost in the process. A good ERP system can prevent this type of disappointment by letting your customers know what to expect when they order from you. And with that comes the knowledge that they can trust you when they have important orders to place. Your customers will appreciate the extra communication and you will earn more loyal customers. What happens when a wholesale customer unexpectedly orders the last of your inventory for a particular product? How long do your retail customers have to wait for the backorder? And how many customers will you lose because they don’t want to wait? 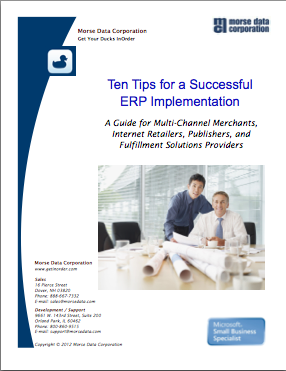 With a good ERP system, you can prevent this from causing you to lose revenue from non-wholesale orders. Simply reserve a specific quantity of each item for your retail customers. 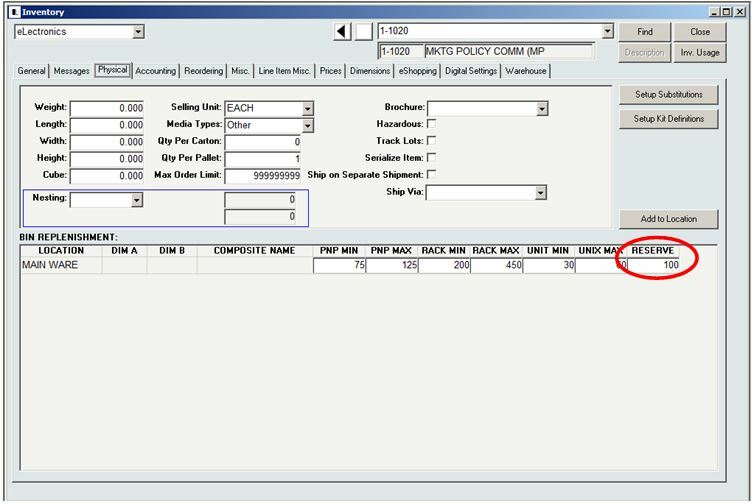 When an order is placed by a wholesale customer, that reserved quantity isn’t even made available. 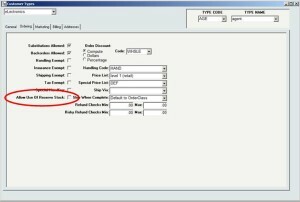 For each customer type allowed to purchase from the reserved inventory, check the “Allow Use of Reserved Stock” checkbox in the [Customer Types] window. Customer types ‘IN’ and ‘RT’ are automatically allowed to purchase reserved stock. The Physical tab of [Inventory] has a field labeled “Reserve” for each dimension and location of the item. 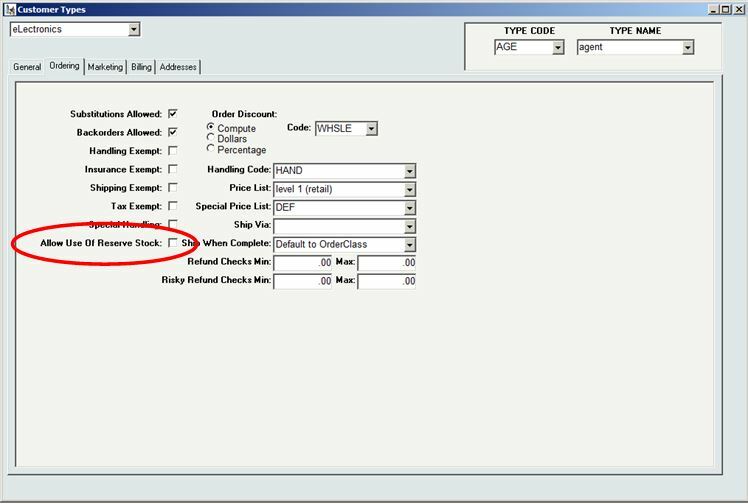 Use this field to identify the amount of stock to reserve. 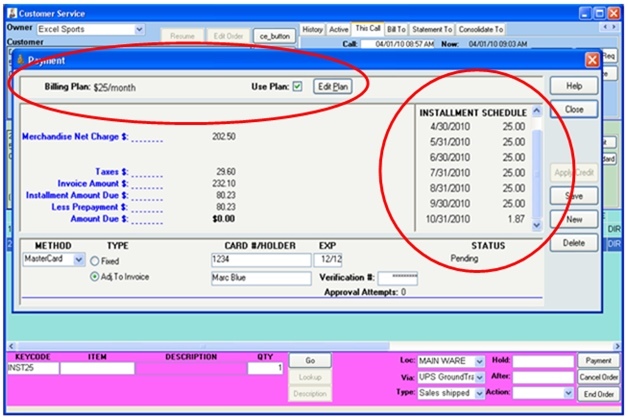 This stock will be available for purchase to only the customer types identified with the Allow Use of Reserve Stock checkbox on the [Customer Types] window. 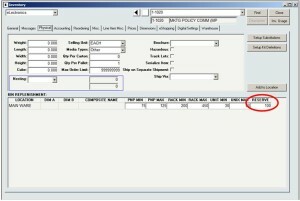 Reserved stock may be viewed on the [Inventory Lookup] and [Inventory Lookup 2] windows. When you offer the same items to multiple customer types and have large orders to fill, reserving stock is a great way to help keep more customers happy.